ZEETV.ZEE5.COM (“we”, “us”, “ZEETV.ZEE5.COM”) values the trust placed in us by data subject (“you”, “your”, “user”, “subscriber”) and therefore, we follow the highest standards of privacy guidelines to protect the information shared by you with us. By using ZEETV.ZEE5.COM (for example, when you register for an account, purchase a service, enter a contest or promotions, communicate with us, on our sites or applications), you agree to provide consent to our collection, use and sharing of your personal information as described in this policy. In some cases, particularly if you reside in a country governed by a data protection regulation, we may ask you to provide explicit consent to access our services before proceeding for further operations. If you link, connect or login through you the ZEETV.ZEE5.COM account with a third party service i.e. Google, Facebook and Twitter they may send us information such as your registration and profile information from the service. communicate with you concerning our service (for example by email, push notifications text messaging, and online messaging channels), so that we can send you news about ZEETV.ZEE5.COM, details about new features and content available on the ZEETV.ZEE5.COM, and special offers, promotional announcements, and consumer surveys, and to assist you with operational requests such as password reset requests. We’ll share or disclose your personal information outside of ZEETV.ZEE5.COM when we have your consent. For example, providing E-mail related services such as marketing newsletters, promotions and offers. 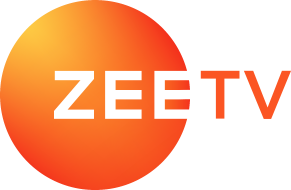 In the event ZEETV.ZEE5.COM is merged with or acquired by another company, we and our affiliates may share your personal information, wholly or in part, with another business entity. You can access and update some of your personal information through your account settings. If you have chosen to connect your ZEETV.ZEE5.COM account to a third-party application, like Facebook, Google or Twitter, you can change your settings and remove permission for the app by changing your account settings. You are responsible for keeping your personal information up-to-date. The ZEETV.ZEE5.COM will send you periodic reminders via e-mail to maintain the accuracy of your personal information. We may retain some of your personal information as necessary for our legitimate business interests, such as fraud detection and prevention and enhancing safety. For example, if we suspend a ZEETV.ZEE5.COM account for fraud or safety reasons, we may retain certain information from that account to prevent that user from opening a new account in the future. Because we maintain copies of the ZEETV.ZEE5.COM to protect from accidental or malicious loss and destruction, residual copies of your personal information may not be removed from our backup systems for a limited period of time. You can write to our data protection officer in case of any grievance or compliant. You have the right to complaint about the data processing activities carried out by ZEETV.ZEE5.COM before the competent data protection authorities. ZEETV.ZEE5.COM is not intentionally designed for or directed at persons less than 16 years of age. ZEETV.ZEE5.COM does not knowingly permit any person who is under 16 years of age to register with the services or to provide any other personally identifying information. If ZEETV.ZEE5.COM becomes aware that any personally identifiable information of persons less than 16 years of age has been collected on the ZEETV.ZEE5.COM without verified parental consent, then ZEETV.ZEE5.COM will take the appropriate steps to delete any such information and notify the parent. However, we consider it the responsibility of parents to monitor their children’s use of our services. Nevertheless, it is our policy not to collect and process any personal information from children below 16 years of age or offer to send any promotional materials to persons in that category. ZEETV.ZEE5.COM does not seek or intend to seek or receive any personal information from children. Should a parent or guardian have reasons to believe that a minor has provided ZEETV.ZEE5.COM with personal information without their prior consent, please contact our customer support team to ensure that the personal information is removed from the ZEETV.ZEE5.COM. We are continuously implementing and updating administrative, technical, and physical security measures to help protect your information against unauthorized access, loss, destruction, or alteration. Some of the safeguards we use to protect your information are firewalls and data encryption, and information access controls. If you know or have reason to believe that your ZEETV.ZEE5.COM account credentials have been lost, stolen, altered, or otherwise compromised or in case of any actual or suspected unauthorized use of your account, please contact us by contacting our customer support team. The data controller for the ZEETV.ZEE5.COM is ZEE ENTERTAINMENT ENTERPRISES LTD. 18th Floor, A – Wing, Marathon Futurex, Lower Parel, Mumbai 400 013, India.